With apps losing 77% of their users after just one day, making a great first impression is critical for mobile app success. Without a strong onboarding flow, those users your team has worked so hard to obtain are going to drop off and never return. So what separates successful apps from the rest of the pack? 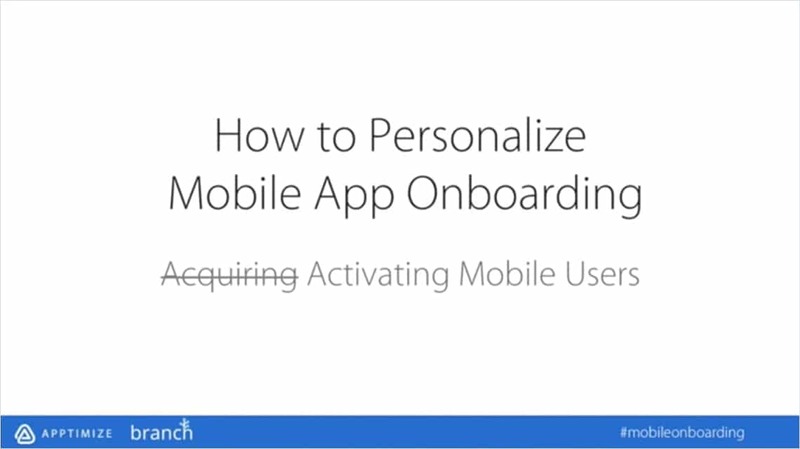 In this webinar, Apptimize, Branch Metrics, and Gametime explores personalizing app content and onboarding flows to ensure that users are getting as much value as possible during their first-time user experience.